Google plus one is slowly, but surely, taking the world by storm. However some individuals may be wondering; what exactly is Google plus one? Google plus one is Google’s latest experiment that allows you to like (as in +1) a link. It’s similar to the likes in Facebook, and in a way, the Tweets in Twitter. As soon as you log into your Google account, you have the option to plus one every web page you find fascinating. Everything you plus one will be shown to your friends, family, and contacts that are connected to your Google profile page. And in turn, every web page that you plus one will rank higher in Google’s directory. It’s like as if your announcing to the world that the web page you plus one’d is in fact “pretty cool” and deserves the chance to be viewed. 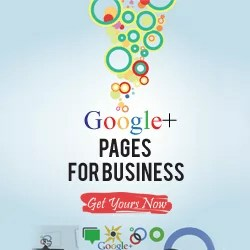 The Google plus one button can be found here; http://www.google.com/+1/button/. And every time you click a Google plus one button, you are giving your own sign of approval. The more plus one’s a web page has, the more popular and interesting it usually is. Unlike Google’s other failed projects such as Google buzz and Google wave, Google plus one is simplistic and very easy to use and operate. You also have the option of running plus one ad’s (this is particularly helpful to marketers), this will help Google discover and learn more about you, and it will also help target their advertisements. It’s like a survey hidden craftily beneath Google’s surfaces, and whilst it may seem like a hassle to contribute, if you do decide to run an ad on Google at a later date it will be beneficial to you in a long run. And while on the subject of benefits, Google plus one helps you filter through rubbish web pages by allowing you to view what your friends and acquaintances have plus one’d. However, do be careful of who you befriend and make sure those particular individuals aren’t spammers or illegitimate people. Aside from this, the only other thing users need to be careful of is running two experiments at once, as only one experiment is able to be run at a time. But how do you sign up for this brand new, exciting experiment? To join this experiment, click on the link to Google’s experiment page and click on “Join this experiment”. You can find this beside the header saying Google+1. So what are you waiting for? Go ahead, join, and receive all the benefits Google plus one has to offer! That’s fine too; you can do whatever you want with your own website. However, it only takes a bit of your time to install it, and there are virtually no negatives to installing the system. It will inevitable benefit you in the long run so I encourage you to use the system.